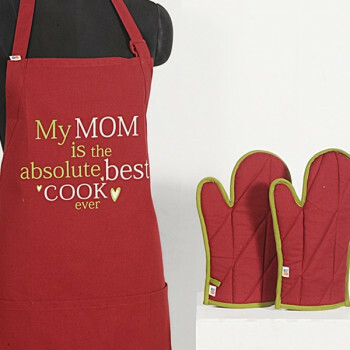 Since brilliance is the answer, when you set a role, we created a piece that will suit you the best with the saying ‘My mom is the absolute best cook ever with Mom best cook Graffiti apron. Its dynamic color patterns and unmatchable quality will make cooking experience exuberant. 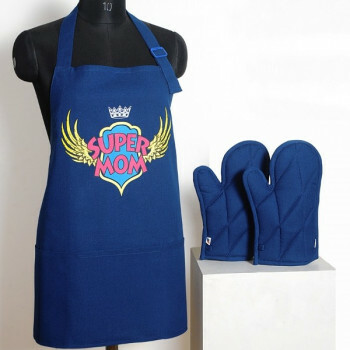 Buy Mom best cook apron, cooking aprons, kitchen aprons available online selling portal swayamindia.com. 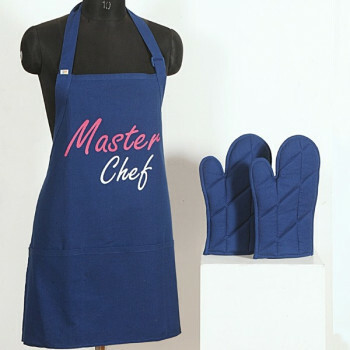 A master piece for a master chef as its time to spread the essence of royal feed at your dining ambience, with the Master Chef Graffiti apron, ‘designed to shine’. 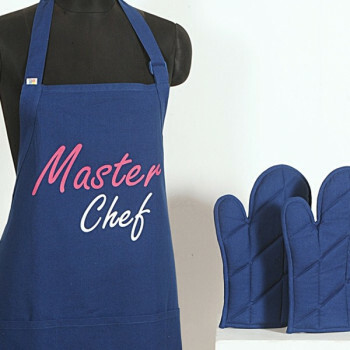 Buy Master Chef Graffiti apron, the dark blue color signifying solidity and calmness, as the chef apron is one of its kind, displaying uniqueness and complimenting the phrase ‘Master Chef’ perfectly. 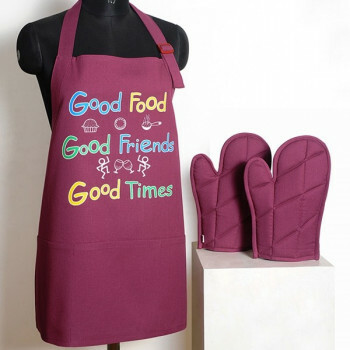 You will never feel life is difficult with the magnificent and extravagant graffiti apron which has a royal definition for spreading serenity. 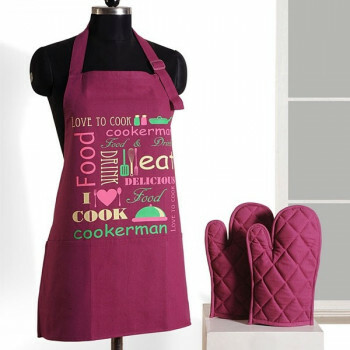 This outrageous and appealing cooking apron has soothing color vibrations and fabric that will give you complete piece of mind from any stress since you are born to shop. 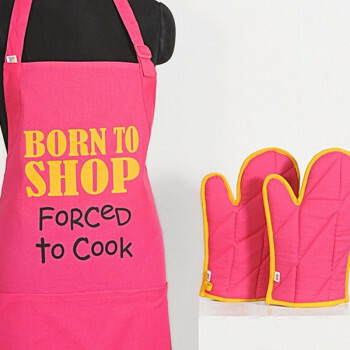 Buy Born to shop graffiti apron from our 24/7 online selling portal swayamindia.com. 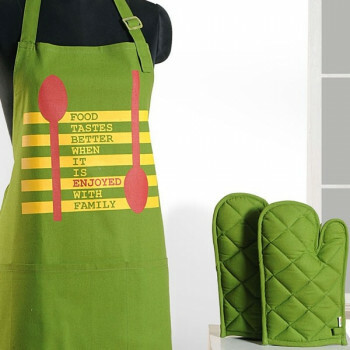 Add a glow of harmony and freshness that will evacuate your ambience from any negative vibes with dark green color and make you become a source of inspiration with your spicy cooking impact for your family with a message, ‘I’ll cook you clean! 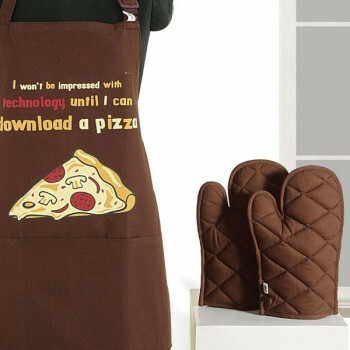 buy this kitchen apron from our web portal to enjoy the current promotional offers that will drive you crazy. 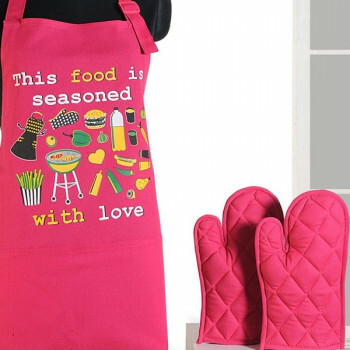 Now, the monotony would not exist anymore as the variations of spice would treat your family with some delectable and mellow taste of life, with Good food graffiti kitchen apron. The maroon color displaying the mystical borderland of wisdom, as the chef knows what the guest wants. The man of the house is planning to set the mood right with some mellifluous spice. The secretive black color kitchen apron is creating an air of mystery about the danger man, so don’t proceed without caution. 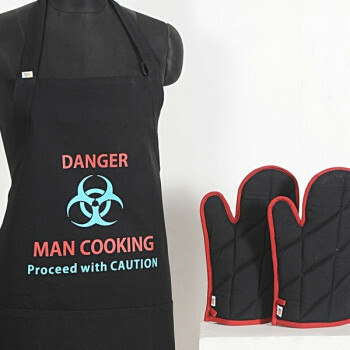 Buy Danger man graffiti apron from our portal Swayamindia.com and avail the benefit of free shipping. Make way for the queen of the house, who knows the best for her kids, is a hurricane in its perfect power and her love is sweet as a flower. 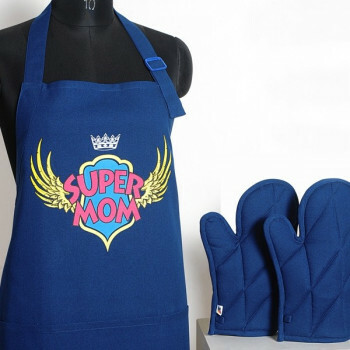 The super mom kitchen apron is an astonishing cooking apron especially designed for such mothers. Save your favorite dress from oil and stains while preparing a grand meal. 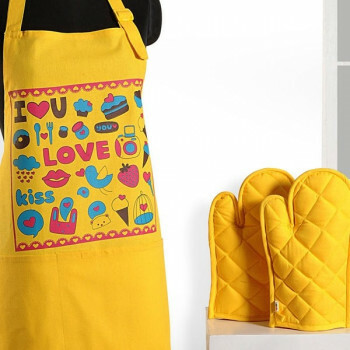 Add an element of excitement in your cooking wearing these graffiti aprons. 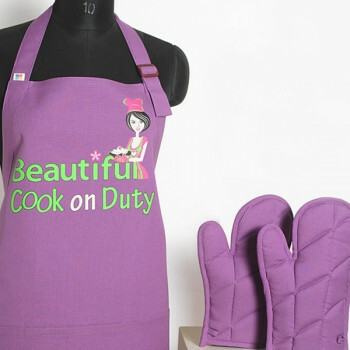 Feel safe behind the shield of these aprons as you cook food for your family. 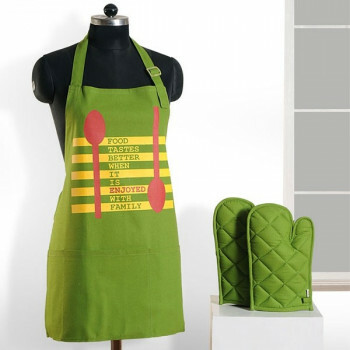 Preparing a meal is no more an issue when you have these graffiti aprons at home. 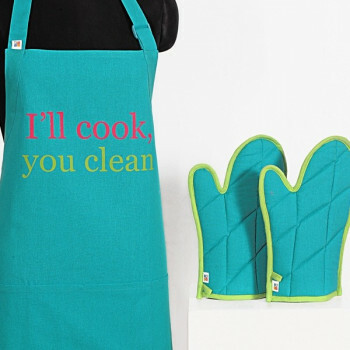 Keep stains apart and your hands safe in the kitchen using these aprons and oven gloves. 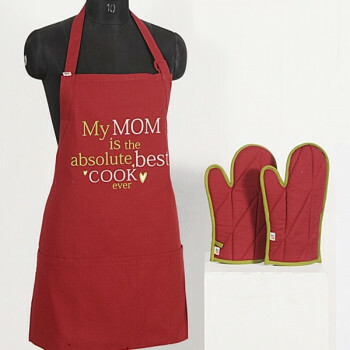 These will provide all the comfort and focus you need to prepare a grand meal for your family. 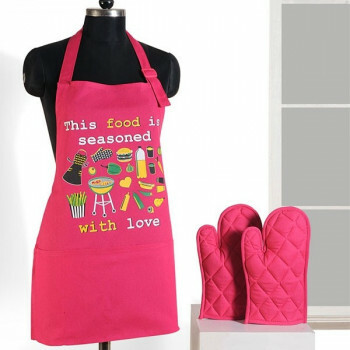 Build the confidence to cook an appetizing meal as you adorn these aprons and protect your favorite dress from the rough stains and keep your hands free from burns. Make your kitchen safe and your clothes free from stains with the help from these beautiful curtains. 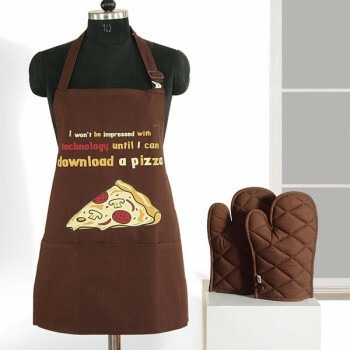 Enter your kitchen in style and keep the stains out of your clothes with these graffiti aprons. 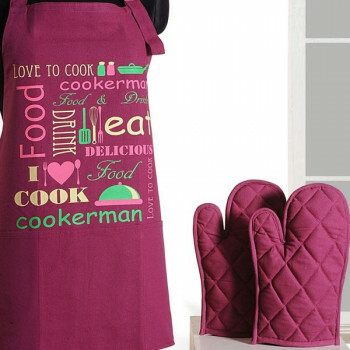 Change your old ways of cooking and bring home these wonderful aprons. 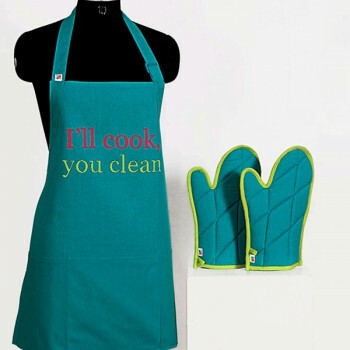 Give your best in the kitchen without having any stains or burns on your body. 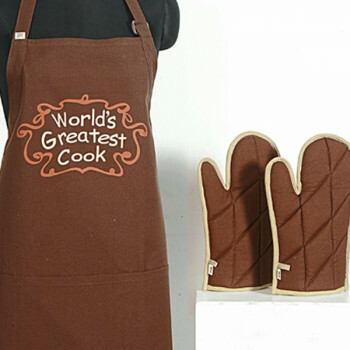 Luscious and passionate sweetness is captivating the atmosphere with Chocó brown world’s greatest cook graffiti apron. 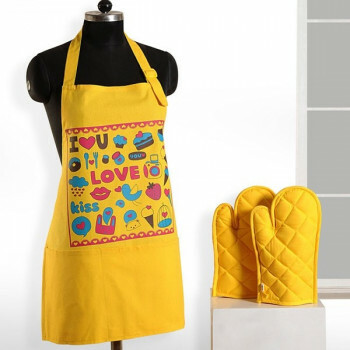 This chocolate burnish kitchen apron has printed designs, now add some passionate sweetness and serve your loved ones with pleasure and self proclaim greatest cook. Buy World’s Greatest Cook kitchen apron available online selling portal swayamindia.com. Feminism on the rise, more men venturing into the kitchen, women in suits, yes! A lot has changed. Who says men can’t cook? This is why Swayam have now designed Graffiti Aprons for men as well as for cool moms and for those who love to cook! What is more important than to start your work with a smile? Our graffiti aprons therefore bring to you aprons with smart catchphrase that will leave you smiling till you get done with cooking. “Danger! 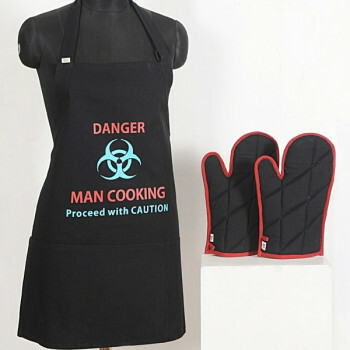 Man cooking”- well this is just one of our graffiti apron’s many other smart lines. Our kitchen linen, as exciting as it are to see, it is soft to wear too. Made from the purest of cotton, you will not regret owning one. 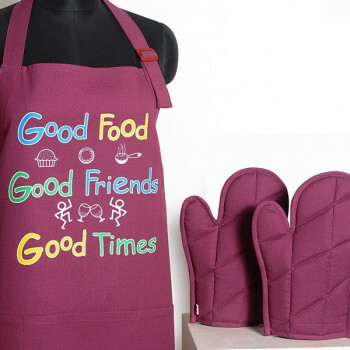 With Graffiti aprons own matching oven gloves too and enjoy your cooking. For those of you shopaholics out there, look out! 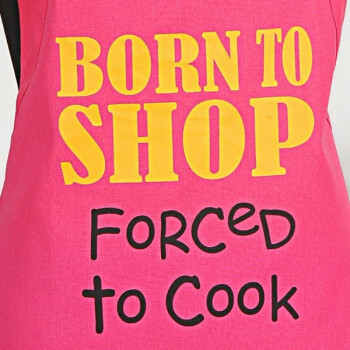 We have the right one for you with the lines “Born to Shop, Forced to Cook”. 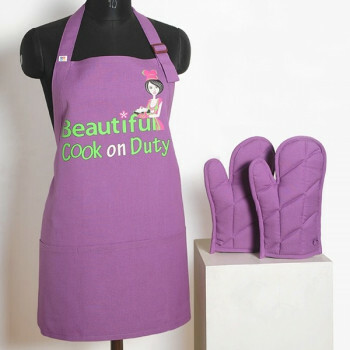 Own the apron designed for you at the most reasonable price, satisfaction guaranteed from our online selling portal www.swayamindia.com 24x7.